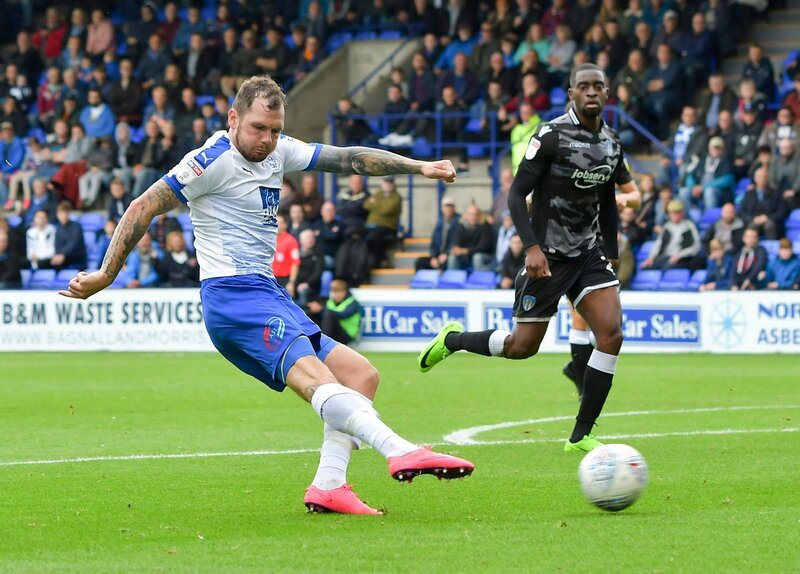 Ipswich Town are favourites to sign League Two Player of the Season James Norwood from Tranmere Rovers when the transfer window reopens in the summer, it has been reported. Norwood has hit a Football League high 27 goals so far this season as Rovers chase a play-off spot in their first season back in the EFL since relegation from League Two in 2015. Those goals have seen Norwood attract attention from sides further up the divisions, with HITC reporting that Ipswich are leading League One sides Burton and Fleetwood in the race to snap up the 28 year old. The Tractor Boys look set to join their two rivals for Norwood’s signature in League One next season, with Paul Lambert’s side 13 points adrift of safety with just six games of the season remaining. Lambert is said to have identified attack as an area to strengthen if they are to gain instant promotion back to the Championship next season, with the club having monitored Norwood’s performances throughout the season. It is easy to see why Ipswich are so keen on Norwood. The Tractor Boys’ entire squad have scored just five more league goals than Norwood this season. The striker’s own performances in his first full EFL season have already shown that he is ready for the step up from League Two, and few would bet against him doing the same in League One with Ipswich next season.